Members of the Ladipo Market Traders Association, a specialised auto-spare parts market based in Lagos, numbering over 20,000 will benefit from group plan insurance coverage packaged by Mutual Benefits Assurance plc following a new partnership between the underwriting firm and the traders. Besides the insurance coverage, the traders who are largely within the Small and Medium Scale Enterprises (SME’s) would also enjoy empowerment in the form of loan facilities, asset acquisition and enlightenment through a Mutual Benefits, and its subsidiary, Mutual Micro Finance Bank. 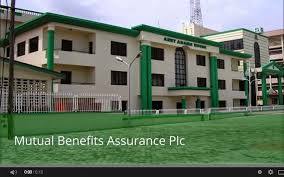 Akin Ogunbiyi, group managing director, Mutual Benefits Assurance plc who disclosed this during a dinner with executive members of the market association said the traders with this partnership would have succeeded in bringing insurance to their door step. “This offers you the opportunity to protect your business, protect your assets and also plan for your family and loved ones”. Ogunbiyi said Mutual Benefits over the last five years has refocused its marketing strategy, having realised that the problem of insurance is not about awareness but accessibility and availability. What we have done through our branch networks, partnerships, and agency system is to increase accessibility and distribution channels so that a larger percentage of the population particularly in the grassroots can be reached, he said. According to him, there is a huge gap between the potential and number of insured populace and that is why there is low insurance penetration in Nigeria. According to him, with 85 branch networks and 55 based in the rural areas of the country, the company is poised to deepen insurance penetration. He said the collaboration with Ladipo Spare Parts Market will enable the mutual benefits carry the risks of the traders and empower them through Mutual’s micro finance bank products. Ikechukwu Obiuno, president, Ladipo International Market Traders Association said he is excited about the partnership with Mutual Benefits, particularly that it has offered to empower its members with loan facilities for business and asset acquisition. This is one of the critical needs of traders: access to loans, assuring that the association will make maximum use of this relationship to boost their business fortunes. He said a lot of companies have been coming to sell their products in Ladipo market but none have done what Mutual Benefits is doing, adding that the Insurance Company is setting the pace for others to follow. He assured that the market will create the enabling environment for Mutual Benefits to succeed in the Ladipo market community. Babajide Oniwinde, head, Strategy, National Insurance Commission(NAICOM) said SME’s which the traders belong to form a very important sector of the economy given their contributions to the GDP, but face serious difficulties in their line of business. This relationship with Mutual Benefits offers you the opportunity to transfer your risks to professionals who it is their job to manage risks. Oniwinde said NAICOM on its part will continue to protect policyholders and ensure that claims are paid by insurance firms as at when due and will sanction any company found wanting in the area of claims payment. He assured the traders that the Commission is solidly behind insurance Companies making effort to deepen insurance penetration through strategic initiatives like this.